This quaint little post office in Hamilton is not only a great place to buy stamps and post letters, but is also well worth popping into for a look around. It takes its name from William Bennet Perot, Hamilton’s postmaster from 1819 to 1862. Perot accomplished much during his life but he is best known for issuing Bermuda’s first postage stamp. 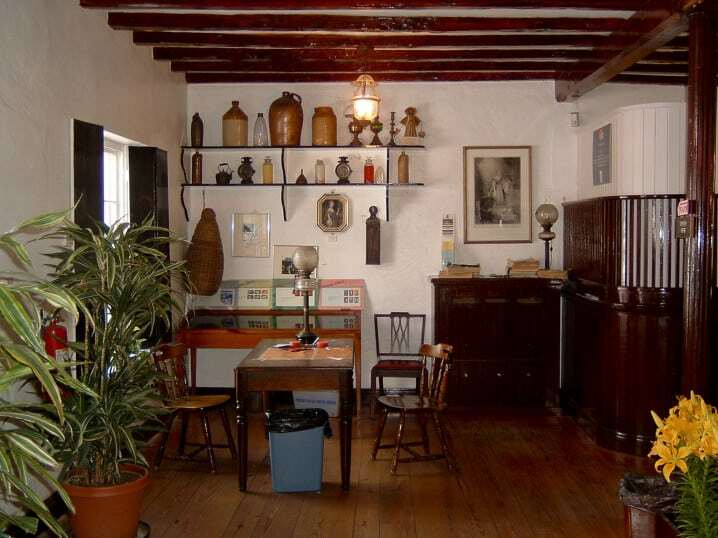 In 1814 Perot’s father, another William, completed Par-la-Ville, now the home of the Bermuda Historical Society Museum and the Bermuda National Library. William Jr. married and brought his new bride to the family home. 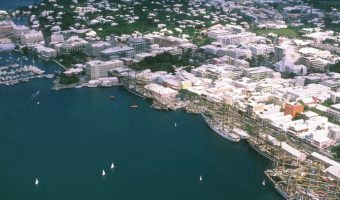 The following year Hamilton was named the new capital of Bermuda, taking the honour from St George. Perot Jr. was appointed postmaster in 1819 and initially offered postal services from Par-la-Ville. The Perot Post Office itself was built in 1842, as an annex to the main house. Following the passing of the Bermuda Post Office Act in 1846 it cost a penny to mail a letter on the island. Collecting the payments was a bit of a problem for Perot. He was said to spend more time pottering around in his garden than at work. Perot didn’t want to be stuck in the post office all day so placed a box outside where customers could drop their letters and pennies. It worked well for a while but soon he was finding that not everybody was honest enough to leave the correct payment. He had no clue who had paid and who hadn’t but was obligated under law to deliver all letters. James Bell Heyl, an American chemist and good friend of Perot, suggested that he create adhesive stamps he could sell to customers. Perot took his postmarking date stamp and removed the date plugs except for the year. The resulting stamp was circular with the words Hamilton and Bermuda around the edge and the year in the centre. He then wrote ‘one penny’ above the date and signed it below. The first of these Perot Provisional stamps were issued in 1848. The building served as Hamilton’s post office until 1869. Between 1915 and 1958 it was the home of the Little Green Shop, a gift shop operated by artists Ethel and Catherine Tucker. In 1959, to mark the 350th anniversary of the founding of Bermuda, it was restored by the government and reopened as a post office again. The Perot Post Office is open Monday to Friday from 9 am to 5 pm. Bear in mind when visiting that it is a working post office. They have no problem whatsoever with tourists looking around though. It’s situated on Queen Street in Hamilton, right opposite Hamilton Ferry Terminal and a just a short walk from the bus station. 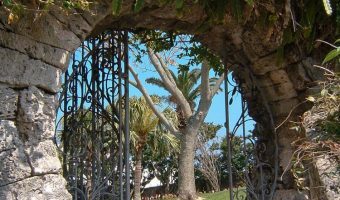 While you are there don’t forget to visit the Bermuda Historical Society Museum and Queen Elizabeth Park, formerly Perot’s garden. Only 11 of the original Perot stamps are thought to exist today. Unfortunately none are on public display in Bermuda. Three belong to the Royal Philatelic Collection, the private collection of Queen Elizabeth II housed at St James’s Palace in London. They returned to Bermuda in April 2012 for a temporary exhibition at the Masterworks Museum of Bermuda Art, held to commemorate the 200th anniversary of the Bermuda Postal Service. Another is in the private collection of David Saul, a former Premier of Bermuda. Another of Perot’s first issue stamps belonged to Sir Cyril Humphrey Cripps. The wealthy British businessman and philanthropist was also a keen stamp collector. He died in 2000 and in 2011 his Chartwell Collection of stamps was put up for sale at the Spink auction house in London. The Perot stamp sold for £114,000, well above the guide price of £60,000 to £80,000. It wasn’t the most valuable of the collection though. That honour went to the 1847 Post Office Mauritius two penny blue, the first stamp ever issued by a British colony. It sold for £900,000, making it the most expensive stamp ever sold in the UK. Map showing location of Perot Post Office. The post office is well worth popping into if you are in Hamilton. I bought some postcards here and it was just like stepping back in time. All the furniture is original and very beautiful. It is such as shame that one day soon people will probably not post letters anymore and this place will have to close or be converted into a museum. This is a quaint post office with traditional interior and very helpful staff. It’s a good place to buy stamps for your postcards. The Perot Post office is the very best. All Postal Departments and/or offices should use this as a standard. GOD Bless Bermuda and all who go here. This isn’t really the place to ask. It’s a tourism website and this space is for reviews not complaints or queries. The people of Bermuda are some of the nicest in the world. This postal office is also the best! I love this post office. It has a curious aroma, reminiscent of cedar. I find it relaxing whenever I go there. I also find the service fairly reliable. A gem in the city. The post office is very much still the same as it was in the days of Perot. This is a very quaint, old style post office. Though I’ve heard Bermuda’s postal service is quite unreliable and was advised not to post anything important. Great city centre park with sculptures from the Bermuda National Gallery. One of the nicest places to relax and take a break when you’re in Hamilton. Small museum in Hamilton run by an enthusiastic team of volunteers. Offers lots of interesting displays, including rare antiques.